Year: 1897 Item #: 370 Views: 2,932 Comments: No Comments. 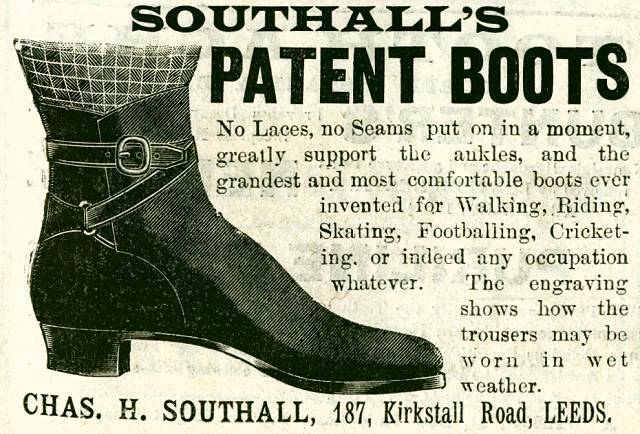 No Laces, no Seams put on in a moment, greatly, support the ankles, and the grandest and most comfortable boots ever invented for Walking, Riding, Skating, Footballing, Cricketing, or indeed any occupation whatever. The engraving shows how the trousers may be worn in wet weather.